Journal of Public Policy, forthcoming. Because the American states operate under balanced budget requirements, increases in spending in one area typically entail equal and opposite budget cuts in other programs. The literature analyzing the correlates of government spending by policy area has mostly ignored these tradeoffs inherent to policy-making, failing to address one of the most politically interesting and important dimensions of fiscal policy. Borrowing from the statistical literature on compositional data, we present more appropriate and efficient methods that explicitly incorporate the budget constraint into models of spending by budget category. We apply these methods to eight categories of spending from the American states over the years 1984–2009 to reveal winners and losers in the scramble for government spending. Our findings show that partisan governments finance their distinct priorities by raiding spending items that the opposition prefers, while different political institutions, economic conditions, and state demographics impose different tradeoffs across the budget. Replication: Data and code to reproduce all results can be found at the Harvard Dataverse. PS: Political Science and Politics. 2018, Vol. 51(4). October. 737–742. Two persistent blind spots have led political economists to treat the study of central banks as separate from broader political science questions: first, political scientists have tended to conceive of central bankers as neutral technocrats instead of political actors with varied motivations and beliefs; and second, they have assumed that an optimal monetary policy exists independent of distributional considerations. In reality, central banks are implicated in the politics of inequality in ways that are often underappreciated. First, quantitative easing policies salvaged and magnified the economic and political power of banks. Second, central banks’ asymmetric concern for inflation weakens the bargaining power of labor and ratchets up the gap between rich and poor with every passing economic cycle. Third, powerful, independent central banks rescued elected governments facing economic crises from the hard fiscal choices – and redistributive decisions – that those crises would otherwise have forced upon them. By pretending that monetary policy has no distributional effects, central banks undermine their own legitimacy and claim to political neutrality. As public trust in their neutrality declines, central banks such as the Federal Reserve will be forced to reconsider the distributional effects of monetary policy or risk losing political support for their independence. Journal of Global Health: Reports, 2018, 2: e2018023, 1–11. Haiti has one of the world’s highest maternal mortality ratios. Comprehensive obstetric services could prevent many of these deaths, though most births in Haiti occur outside health facilities. Demand-side factors like a mother’s socioeconomic status are understood to affect her access or choice to deliver in a health facility. However, analyses of the role of supply-side factors like health facility readiness have been constrained by limited data and methodological challenges. We sought to address these challenges and determine whether Haiti could increase rates of facility-based birth by improving facility readiness to provide delivery services. Our task was to characterize facility delivery readiness and link it to nearby births. We used birth data from the 2012 Haiti DHS and facility data from the 2013 Haiti SPA. Our outcome of interest was facility-based birth. Our predictor of interest was delivery readiness at the DHS sampling cluster level. We derived a novel likelihood function that used Kernel Density Estimation to estimate cluster-level readiness alongside the coefficients of a logistic regression. We analyzed data from 389 facilities and 1,991 births. Rural facilities were less ready than urban facilities to provide delivery services. Women delivering in health facilities were younger, more educated, wealthier, less likely to live in rural areas, and had fewer previous children. Our model estimated that rural facilities (σ = 12.28, standard error [SE] = 0.16) spread their readiness over larger areas than urban facilities (σ = 7.14, SE = 0.016). Cluster-level readiness was strongly associated with facility-based birth (adjusted log-odds = 0.031; p = 0.005), as was socioeconomic status (adjusted log-odds = 0.78; p < 0.001). Health system policymakers in Haiti could increase rates of facility-based birth by supporting targeted interventions to improve facility readiness to provide delivery-related services, alongside efforts to reduce poverty and increase educational attainment among women. Do Exports to China Affect Labor Practices in Africa? World Development, 2017, Vol. 89(1). January. 1–18. To investigate whether Africa’s exports to China influence labor practices in Africa, we reconsider the debate over trade’s influence on regulatory standards in exporting countries. The first generation of trade–regulation scholars asked whether high levels of exports influenced regulatory standards of exporting countries, with inconclusive results. The second generation of scholarship focused not on how much a country exported but to whom it exported, identifying a “California Effect” by which firms and consumers in (mostly developed) importing countries projected their high regulatory standards on less developed export partners. Structural change – especially the rise of China as a major importer – poses a challenge to these optimistic findings. Drawing on insights from the analysis of compositional data, this paper introduces a third generation of trade–regulation research, which suggests examining not only with whom a country trades, but also how the composition of markets in a country's export basket reshuffles over time. Specifically, we explore the possibility of a “Shanghai Effect” whereby African countries begin to reflect the lower labor standards of China, which has emerged as a major destination for their exports. We show that when a country increases exports to China, the net effect on domestic labor standards depends critically on the labor practices of other export destinations compositionally displaced by China exports. Our analysis of a panel of 49 African countries for the period 1985–2010 produces a small continent-wide estimate of China’s negative influence on African labor practices. In-sample simulation at the country level uncovers a moderate Shanghai Effect for a handful of countries only. Journal of Public Health Management and Practice, 2014, Vol. 20(2). March/April. 160–167. Government organizational structure related to health varies greatly across states and is somewhat dynamic. When Medicaid and public health functions are consolidated in the same stage agency, public health does not “lose” in terms of its share of the state budget. However, this could change as Medicaid costs continue to grow and with the implementation of the Patient Protection and Affordable Care Act of 2010. To establish what we do and do not know about how the protection of labor rights contributes to the developmental value of jobs (through living standards, productivity and social cohesion), we review the available literature and evidence. We provide available quantitative and qualitative evidence on how improvements in rights contribute positively to economic development; on the whole, our conclusion is that they do. 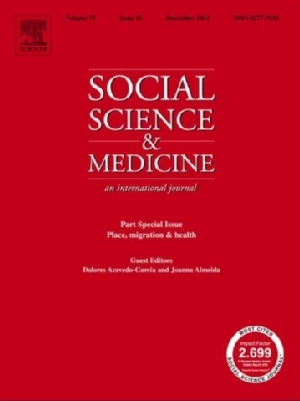 Social Science and Medicine, 2012, Vol. 75(9): 1595—1603. Although many study the effects of different allocations of health policy authority, few ask why countries assign responsibility over different policies as they do. We test two broad theories: fiscal federalism, which predicts rational governments will concentrate information-intensive operations at lower levels, and redistributive and regulatory functions at higher levels; and “politicized federalism,” which suggests a combination of systematic and historically idiosyncratic political variables interfere with efficient allocation of authority. Drawing on the WHO Health in Transition country profiles, we present new data on the allocation of responsibility for key health care policy tasks (implementation, provision, finance, regulation, and framework legislation) and policy areas (primary, secondary and tertiary care, public health and pharmaceuticals) in the 27 eu member states and Switzerland. We use a Bayesian multinomial mixed logit model to analyze how different countries arrive at different allocations of authority over each task and area of health policy, and find the allocation of powers broadly follows fiscal federalism. Responsibility for pharmaceuticals, framework legislation, and most finance lodges at the highest levels of government, acute and primary care in the regions, and provision at the local and regional levels. Where allocation does not follow fiscal federalism, it appears to reflect ethnic divisions, the population of states and regions, the presence of mountainous terrain, and the timing of region creation. Replication: Data and code to reproduce the main results can be found here. American Political Science Review, 2012, Vol. 106 (1): 166—187. Spectacular economic growth in China suggests the ruling Chinese Communist Party (ccp) has somehow gotten it right. A key hypothesis across both economics and political science is that the ccp’s cadre evaluation system, combined with China’s geography-based governing logic, has motivated local administrators to compete with one another to generate high growth. We raise a number of theoretical and empirical challenges to this claim. Using a new biographical database of Central Committee members, a previously overlooked feature of ccp reporting, and a novel Bayesian method which can estimate individual-level correlates of partially observed ranks, we find no evidence strong growth performance was rewarded with higher party ranks at any of the post-reform party congresses. Instead, factional ties with various top leaders, educational qualifications, and provincial revenue collection played substantial roles in elite ranking, suggesting promotion systems served the immediate needs of the regime and its leaders, rather than encompassing goals like economic growth. European Union Politics, 2008, Vol. 9 (3): 403—433. What effects do interest groups have on the democratization and legitimacy of the European Union (eu)? Interest groups can democratize the eu only to the extent that they do not replicate inequalities. We use a newly constructed database to look for inequalities: Are the big organizations in Brussels the same as the ones in the eu member states? Are some member states’ lobbies more active than others? And does the structure of eu lobbying create insiders and outsiders itself? We find representative biases in favor of powerful incumbents, groups from some member states and well-resourced groups. Replication: Underlying data can be found here. Political Analysis, 2003, Vol. 11 (1): 86—94. Since Herron and Shotts (2003a), Adolph and King (2003), and Herron and Shotts (2003b), the four of us have iterated many more times, learned a great deal, and arrived at a consensus on this issue. This paper describes our joint recommendations for how to run second-stage ecological regressions, and provides detailed analyses to back up our claims. Political Analysis, 2003, Vol. 11 (1): 65—76. The Political Methodologist, 2003, Vol. 11 (2): 31—35. Monte Carlo experiments test models on artificial datasets with known properties to assess the likely performance of an estimator in empirical work. Although the increasing savvy of political methodology has brought more and better Monte Carlo work, it is not always presented clearly or thoroughly. In particular, Monte Carlo results often appear in unwieldy tables rather than elegant graphics. I propose five guidelines for Monte Carlo graphics. I also define five graphic styles which help show the comparative performance of models over the parameter space, even when the models and parameters are many. American Prospect, December 18, 2000, 16—17. A comparison of the parties' school finance record in the states reveals stark differences.